The whales have come and gone! We hope you enjoyed our LIVE transmission of the humpback whale song sung by the males in their Hawai'i winter breeding ground. 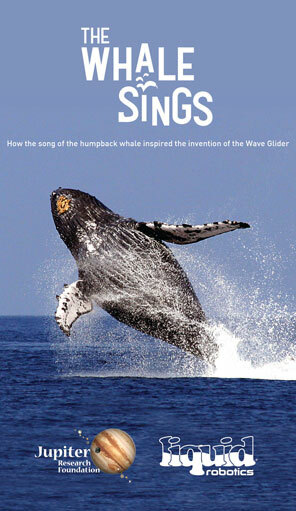 We streamed their song from January 14th to March 14th off of our Wave Glider, Karpo. The whales migrated down from their northern summer feeding grounds to their winter grounds to give birth, nurse and breed. In the meantime, our "Play" button will play some really great whale songs that we've recorded outside of Puako, HI. You can also follow along with all of the current Jupiter updates on Talk Story. Furthermore, our fleet of Wave Gliders are involved in some very interesting projects. From ocean microscopes to underwater cameras, to our most ambitious project to date, HUMPACS.